Acwell, Gram, and Meme ~ Oh My! Here are the new additions for today! A cleanser that thoroughly eliminates skin impurities while maintaining the skin’s pH level proper and balanced. This results to a well-hydrated skin which means there are no worries about dryness or excessive sebum production. This cleanser has a very gentle formula which perfectly treats all types of skin, including sensitive skin, with intensive care. It contains 7 different types of antioxidants extracted from organic herbs including centella asiatica. I don't have a review, but this is my current toner, and I do love it! It's very gentle and soothing. 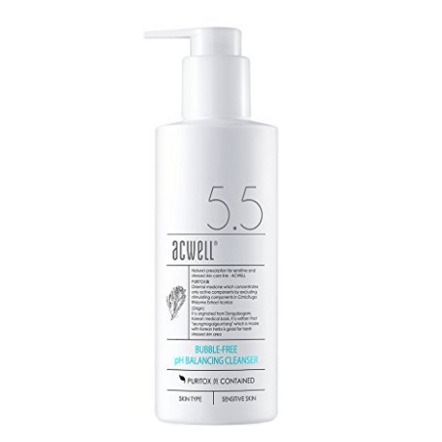 A mild cleansing toner that purifies the skin while also maintaining its pH levels balanced. 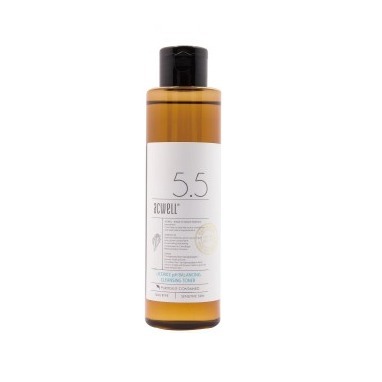 This toner is enriched with licorice water which boosts up the skin’s moisture and nourishment. This results to soft and smooth skin. Along with licorice water, it also contains licorice root and peony extracts which work effectively together in brightening the skin. 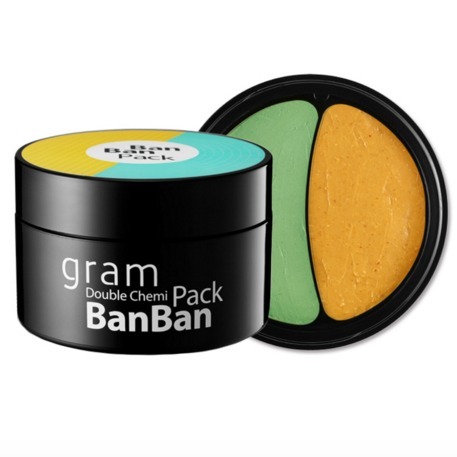 A unique, multi-purpose face pack that delivers special care for both your T-zone and U-zone. T-zone Pore Pack (Green) - this pack contains a rich blend of exceptional skincare ingredients including volcanic ash clay, green tea extract, lemon balm and applemint extract. It balances out the moisture levels of the skin and controls sebum on the T-zone area which is more prone to excessive oil production. This also eliminates impurities to keep the skin clear and healthy. U-zone Moisturizing Pack (Orange) - this pack contains premium pumpkin extract and sweet almond oil that effectively tightens pores and leaves the skin silky smooth. This contains rich source of nutrients and moisture that helps the U-zone look radiant and youthful. 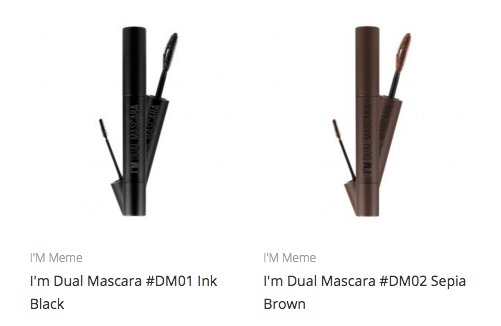 Available in "Ink Black" and "Sepia Brown"
Never worry about spider lashes again. Get that natural lash-extension effect everyday with our dual-ended mascara featuring 4mm fiber content. I'm Dual Mascara combs through your lashes as you apply to separate and coat each individual lash without clumping. >3-Wands-in-1: 1) Curved side of upper lash brush separates, curls, and lengthens. 2) Flat side of upper brush helps fix the curl. 3) Skinny lower lash brush coats every strand of shorter lower lashes. >Clump-free, lash extension effect with average length of 4mm fiber content. >Easy removal with warm water. Try coupon code "NEWYEAR2016" for 10% off ~ orders must be above $30 after coupons for free shipping.